THINK (TB and HIV Investigative Network) is a globally recognised and registered non-profit organisation that conducts clinical research on behalf of providers of medication to alleviate suffering arising from Tuberculosis and human immunodeficiency virus (HIV) infection. While its area of influence incorporates the African continent, THINK is based in KwaZulu-Natal where infection rates are particularly high. 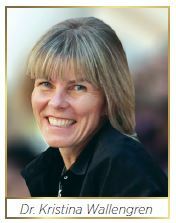 Swedish born Dr. Kristina Wallengren, PhD, MPH, is the founder and executive director of THINK. She is a passionate researcher who has lived and worked in South Africa for the past twelve years. When not working at her office in Winston Park, Kloof, she can be found at one of the research sites. These are at the King Dinuzulu Hospital Complex in Sydenham, Durban, the Doris Goodwin MRD-TB Hospital in Pietermaritzburg and at the Don McKenzie TB Hospital in Botha's Hill which is funded by 'Doctors Without Borders'. THINK is currently conducting clinical trials aimed at improving diagnosis, treatment and care for TB and HIV infected individuals. The TB and HIV burden in KwaZulu-Natal is among the highest in the world. The province also suffers from the highest number of drug resistant TB cases per population and was the scene for the 'XDR TB outbreak' in 2005 leading to the uncovering of Extensively Drug Resistant (XDR) TB. New treatments under evaluation at THINK include the first new TB drugs to be developed since the 1950s. These have the possibility of shortening treatment for both drug sensitive and drug resistant TB to six months and to change millions of lives by providing a single cure for all strains of TB in the next 10 years. Dr Wallengren said, "We want to save the world." A specific field of interest is TB in children who are chronically under diagnosed. However, they are vulnerable to infection due to the close contact that they have with their mothers (who may be infected). Due to the duration of the clinical trials, which can take place over several years and include frequent monitoring visits, the research staff get to know their patients well. Consequently, the staff's interaction often goes beyond clinical treatment to include involvement and assistance in social issues that impact on their patient's daily lives. THINK is collaborating with other South African NPOs funded by The Global Fund for the implementation of programmes addressing the HIV and TB epidemic. The focus is primarily in west, central and south subdistricts of eThekwini municipality. In this programme, THINK is currently providing over 90 000 people with treatment adherence counselling and support. To this end, Adherence clubs have been established for people living with HIV that have been on anti-retroviral treatment (ART) for at least 12 months. Treatment does not cure AIDS. It only helps keep the infection under control and helps strengthen the immune system to fight against other infections. There are many factors associated with poor adherence such as inadequate home support, inability to take time off work to go to the clinics and non-disclosure of HIV status. The adherence clubs aim to motivate, encourage and help participants stick to their treatment plan by creating a network of support and continuous education. THINK is supported through international research funding as well as government, philanthropy, and industry, while research is maintained through grants. Dr Wallengren said, "People come to us because they know that the quality of our research is excellent. We work collaboratively with a number of institutions." However, THINK also needs to generate income to remain sustainable. One of the most important aspects of the organisation's work is education and training in schools and workplaces on healthy living practices. THINK is growing this service to encompass employee wellness programmes, which have become an important part of implementing the South African Occupational Health and Safety Act. Through on-site employee wellness programmes, employers will be able to provide education classes, screenings, and facilitating adherence to medical protocols and follow up assistance to identify and manage health issues and preventable illness. This service also aims to alleviate the need for employees to take regular days off work to collect medicines or have health issues monitored. THINK initiated a school speech competition with six participating secondary schools, whereby students were encouraged to prepare a twenty-minute speech on TB infection and prevention; TB treatment and treatment impact; and TB clinical research and the benefit thereof. THINK welcomes Socio-Economic Development spend. More than 95% of our beneficiaries are black Africans. Businesses can therefore obtain maximum points for Broad Based Black Economic Empowerment Scorecards. THINK's dedicated team of experts, in close collaboration with other knowledge expert entities, have produced the highest quality but, practical, content currently available. 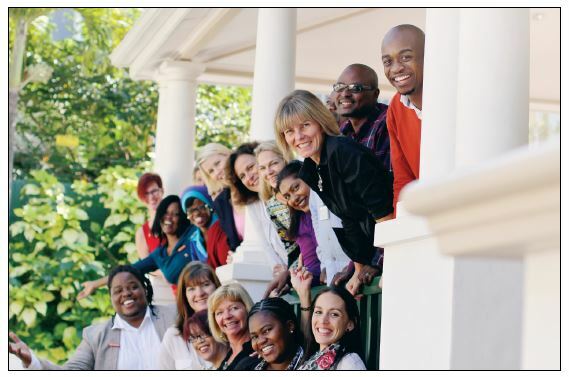 Their wish is to influence a collaborative and connected future for healthcare - where teams work together in ensuring that a heightened awareness of and effective response to the TB HIV pandemics. Siyabonga Nzimande (Director and Stakeholder Manager at THINK and Advocate for TB and HIV vaccine research) said, "I believe that change starts with one person at a time, that people do not change as a result of receiving information only but when they see those around them change." Services: Clinical research focused on bringing forward more effective drug regimens, new diagnostic tools, improved vaccines and innovative delivery approaches in the field of TB and HIV.